Enhance the beauty of your bathroom with this unique Bone Toto LPT530.8N#03 pedestal lavatory sink. 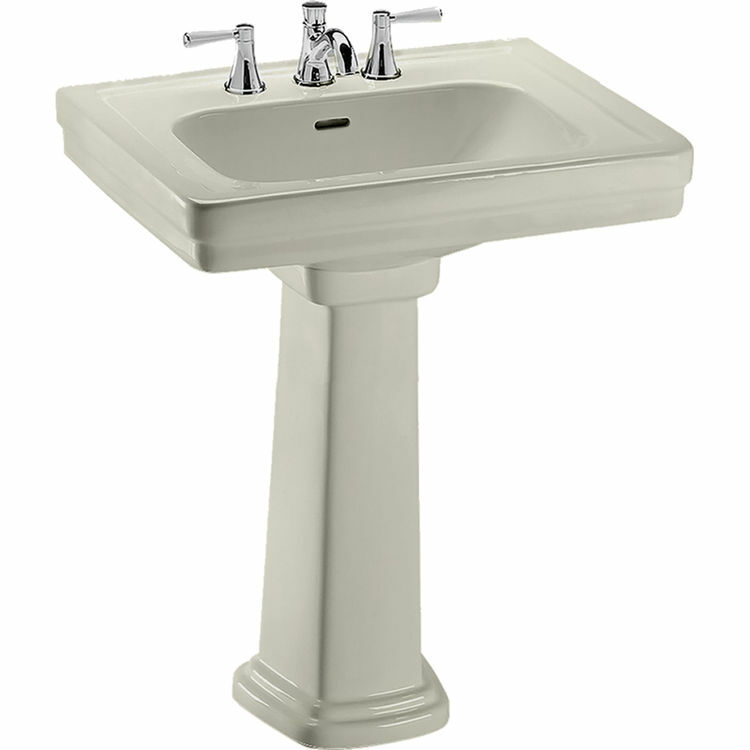 This pedestal sink is 27.5 inches x 22.25 inches and stands at a standard height of 34.375 inches. The basin is a generous 20.125 inches wide and 13.25 inches deep. This elegant stylish lavatory sink is made of Vitreous China for durability and is stain-resistant. The unique Bone finish has Toto’s patented super smooth SanaGloss glaze making it easy and economical to clean and will maintain its beauty. This glaze also enhances the underlying design and texture of this lavatory sink, and can preserve its color and even waterproof the sink. The vitreous china pedestal and the lavatory combination is complete with mounting hardware. This Toto LPT530.8N#03 Promenade 28 x 22 Bone Pedestal Lavatory Sink has a rear overflow, and 34 inches universal height for maximum comfort. Thanks to this classically simple and elegant design, Toto LPT530.8N#03 Promenade 28 x 22 Bone Pedestal Lavatory Sink complements many bathroom designs and makes cleaning and sanitation simple. This product meets and exceeds ASME A112.19.2/CSA B45.1. A certified IAPMO(cUPC), State of Massachusetts, City of Los Angeles, and others also a Code compliance of UPC, IPC, NSPC, NPC Canada, and others. Get one now!  At PlumbersStock.com, we are always ready to serve you. Height : Floor to Rim 34-3/8 in.